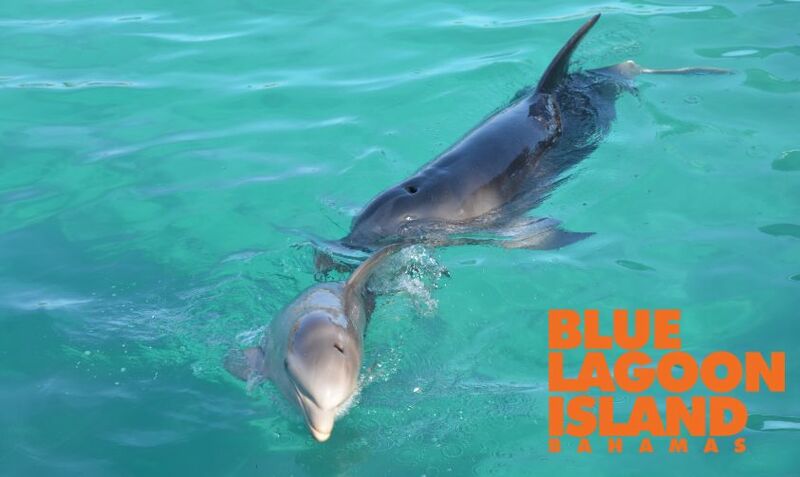 BLUE LAGOON ISLAND, Bahamas – The team at Blue Lagoon Island has officially introduced its newest member of the family – a healthy and strong native Atlantic Bottlenose Dolphin calf named Duchess. Click here to see video taken when the baby dolphin was just 3 minutes old! Dolphin calves are similar to human babies in that that they are not born with survival skills to fend for themselves. They both rely on their mothers who teach them everything they need to know. For a dolphin calf, the first lesson immediately after birth is how to swim to the surface to breathe. George says Princess, who has now had four boys and two girls, is a great Mom. Already the young calf is mimicking her mother and the other dolphins she lives with. She flips – and sometimes flops – out of the water, plays with any fish thrown her way, and in general explores her world. Duchess and Princess, will remain a close pair for at least another year and a half as Duchess is nursing. Atlantic Bottlenose Dolphins do not experience menopause. So as long as they are healthy, well cared for and living in pristine conditions, they can give birth and rear calves at an advanced age. 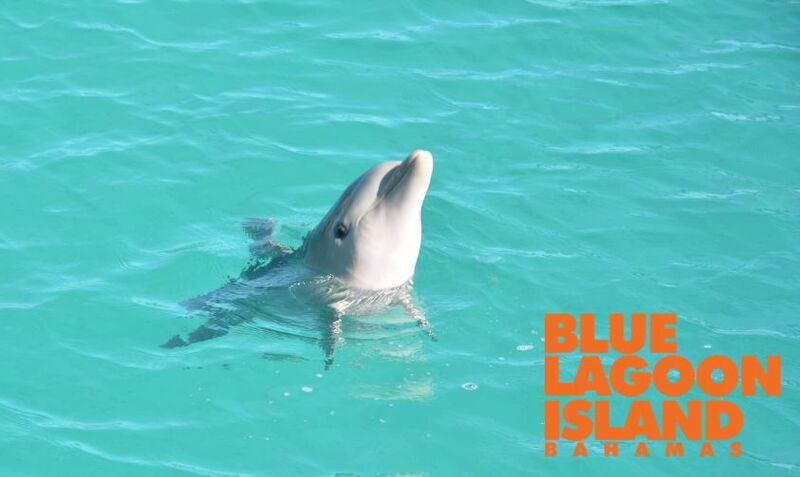 The dolphins at Blue Lagoon Island have what George calls a “pampered lifestyle.” They have a preventative medicine program. They have the best in veterinary care onsite. They enjoy the best quality food and diets that are analyzed and modified for their individual needs and tastes. And they get vitamin supplements and a highly qualified team to care for them. To ensure that the marine mammal program at Blue Lagoon Island continues to provide the highest level of care and conditions for its dolphins, sea lions and stingrays, the company maintains a number of key international accreditations including the Alliance of Marine Mammal Parks & Aquariums and the International Marine Animal Trainers’ Association. In 2018, Dolphin Encounters at Blue Lagoon Island became the first facility in The Bahamas to achieve certification by the American Humane Conservation program. And just last week Blue Lagoon Island received the Travelife Partner Award. “They inspect us. And we have to satisfy them that our animals have the best possible care… that they come first in everything we do. They’re completely independent and non-profit. They are only interested in animals’ welfare. And yes, we were the first in the Bahamas and we’re amongst the handful of zoological facilities at the moment worldwide that do have this accreditation,” George explained. 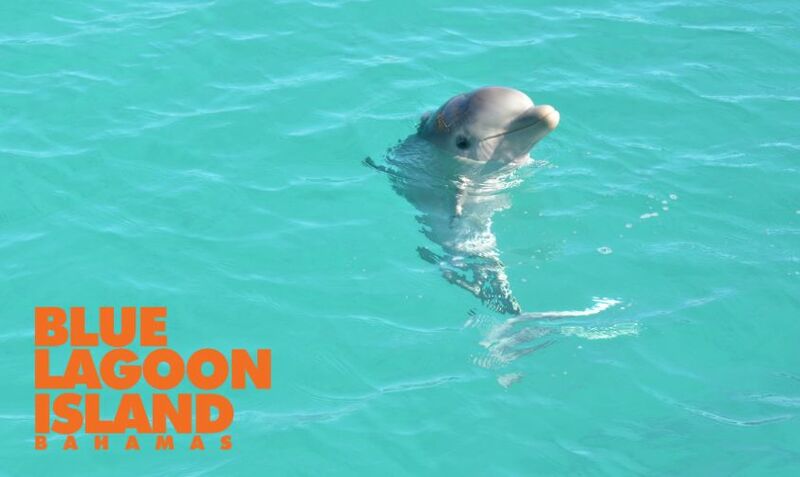 Dolphin Encounters got its start in 1989 as an act of compassion. The company’s founder learned that there were two dolphins living at an aquarium in Nassau that had gone out of business. He decided to buy them and give them a better home at his property in Abaco. A few years later they relocated to their current all natural habitat on Blue Lagoon Island. Princess is one of those founder dolphins.